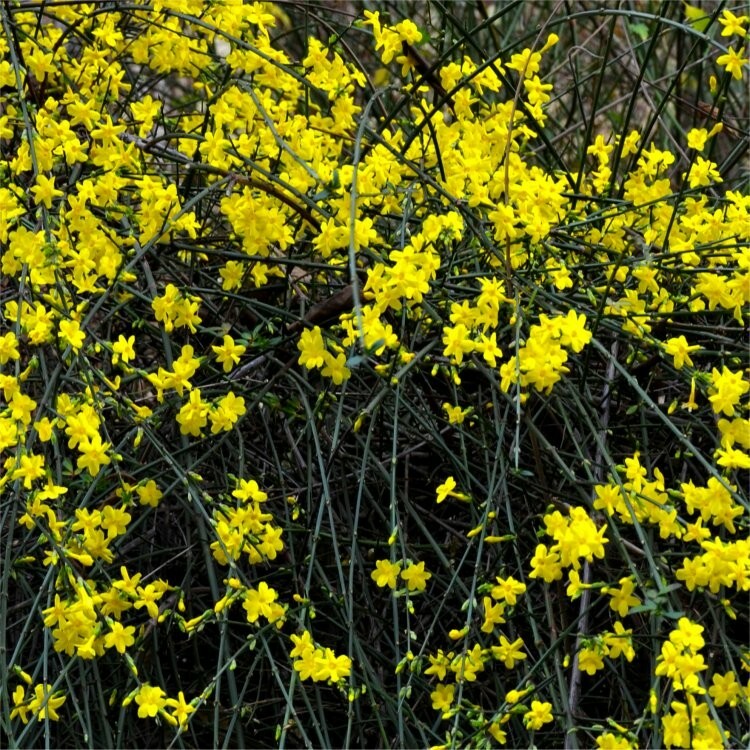 This Winter Jasmine has cheerful yellow flowers at the bleakest time of the year, appearing on bare stems in winter and early spring. Perfect to add some colour and interest to the winter garden when little else is flowering, it will really brighten up a winters day. A vigorous climber, it is easy to train on a trellis, but looks just as attractive if left to scramble freely over low walls, or even used on banks as a robust shrubby groundcover. Bright green stems, even in winter, and dark green shoots add to the appearance of this lovely climber. Regular pruning helps to keep it tidy, but we recommend giving it space to really show it off. 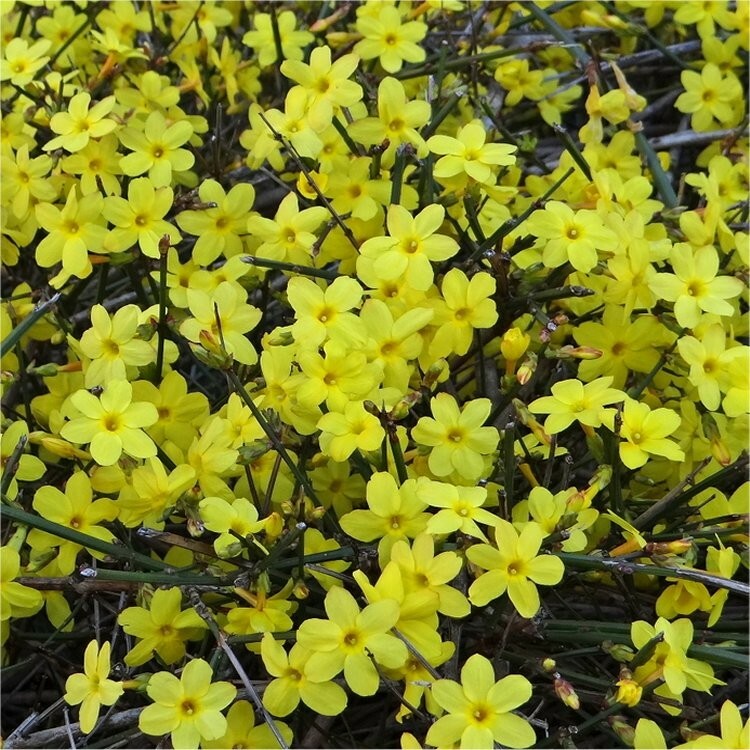 Supplied in approx 5.5 litre containers at around 150-180cms (5-6ft tall), our Winter Jasmin Plants are covered in buds in winter and perfect to plant and enjoy through the duller days of the year.